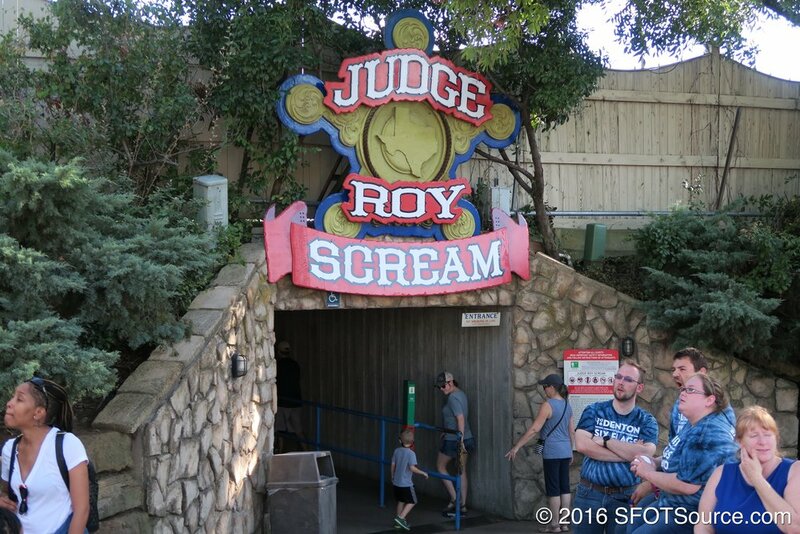 In 2006, as part of the park's 45th anniversary celebration, Six Flags Over Texas hosted a ride-a-thon in which 16 contestants had to ride Judge Roy Scream for a total of 45 hours straight (with some breaks, of course). Ten contestants ended up winning the event, which included winnings of $450, all expenses paid trips, season passes, and Flash Passes for future use. Each hour, contestants typically experienced about 18 laps around the ride's track. In the end, the grand total of travel was 555 laps or 260.68 miles. 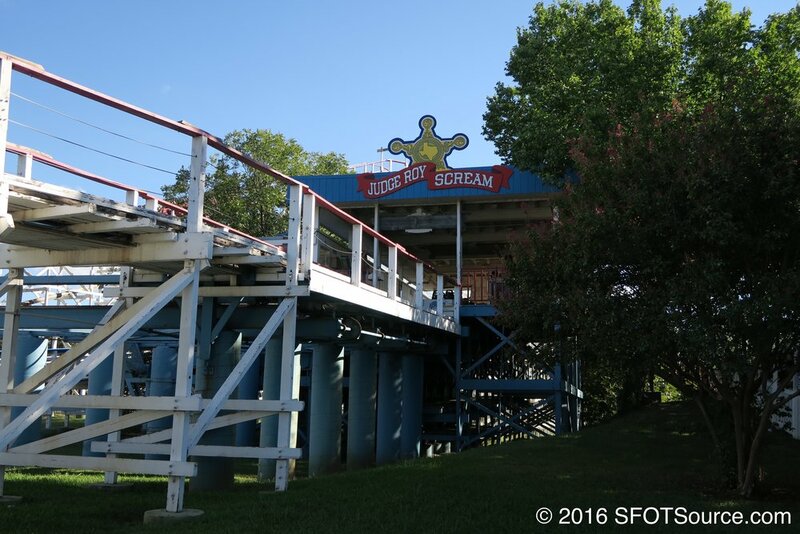 One unique feature about the Judge Roy Scream is that it is actually found a ways outside of the main park itself. Riders must take a tunnel under the park's six-lane entrance to enter the queue line before arriving at the station. The ride itself travels out and back down the side of a pond that is located on the outskirts of the park. 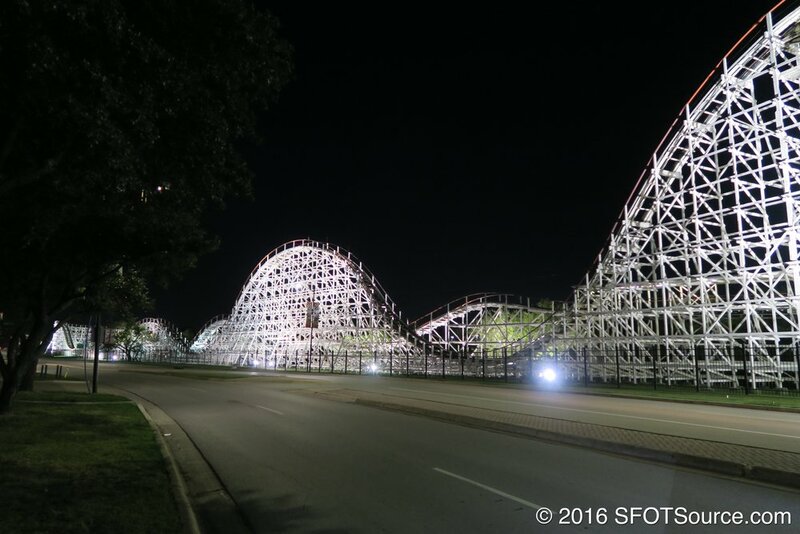 AstroWorld’s Texas Cyclone PTC trains are stripped down and made into a third train for Judge Roy Scream. Judge Roy Scream trains receive individual lapbars. Judge Roy Scream undergoes major retracking and receives a new paint job with white track and white supports. The white train of Judge Roy Scream is completely rebuilt.